At Falling Creek, we have an incredible adventure program with campers at every level in every program that we offer, and 85% of our trips taking place on public lands. These public lands are the backbone of the Falling Creek program. They provide the venue, the scenery, the challenge, and they are an important part of each camper’s story at Falling Creek. Your son will come home and tell you about riding at Dupont, or sliding at Sliding Rock in Pisgah, or climbing in Linville Gorge. Each of those places are public lands that we all own and have the ability to visit. Because of this, giving back to public lands has become an important facet of the Falling Creek program. This might include picking up trash at the trailhead, doing trail work, practicing Leave No Trace principles, or any of the other various ways we can give back. 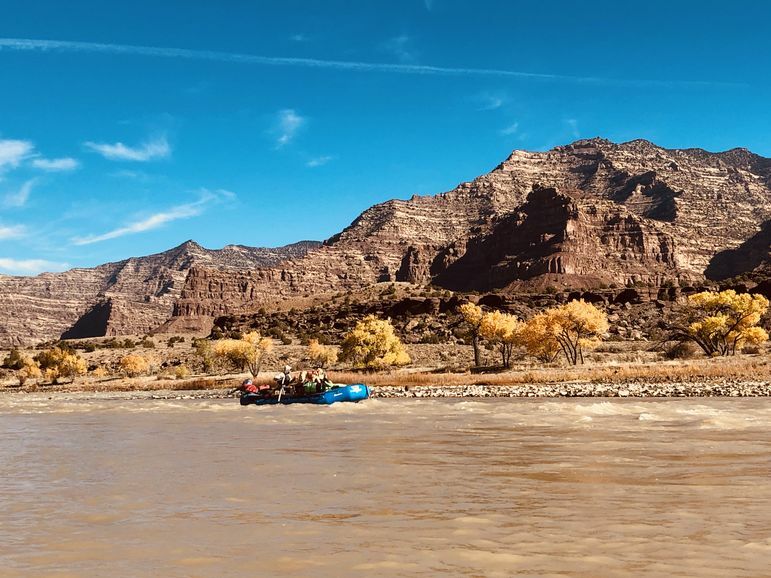 As Falling Creek’s Outdoor Adventure Director, I was recently invited on an expedition to the Green River in Utah. During this expedition, I volunteered with the Bureau of Land Management (BLM), specifically with the Desolation Canyon River Rangers. 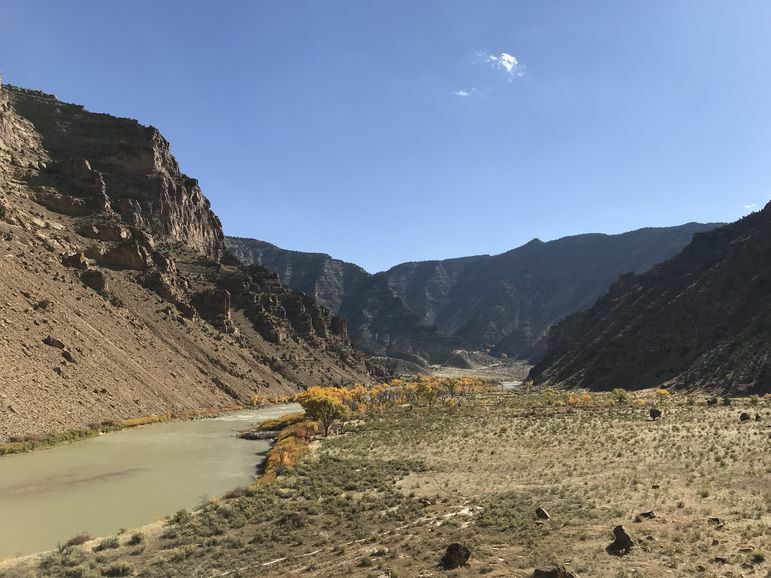 Desolation Canyon is currently listed as a Wilderness Study Area, which is a designation that helps keep the canyon in an unaltered state, leaving it as a wild place. This means that the BLM does not mark campsites or items of historical significance. 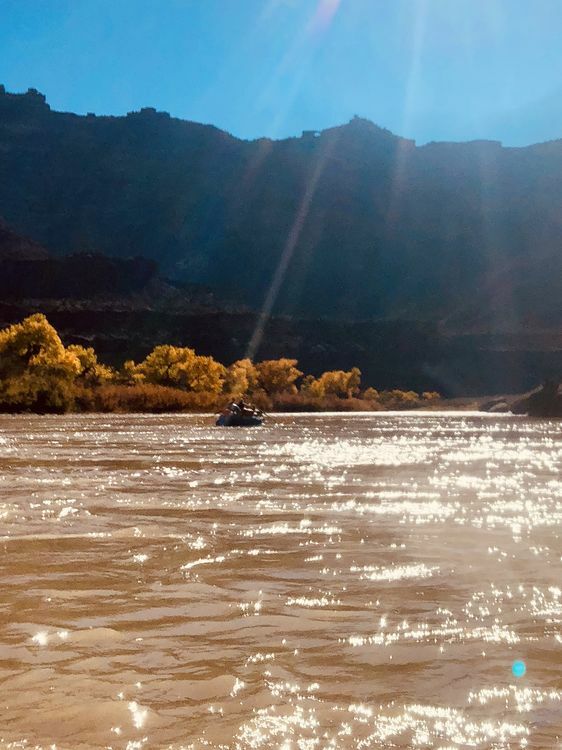 It also means that the BLM does a great deal of user education, and that all users are held to a very high standard regarding the impact that each run down the river makes on the canyon. 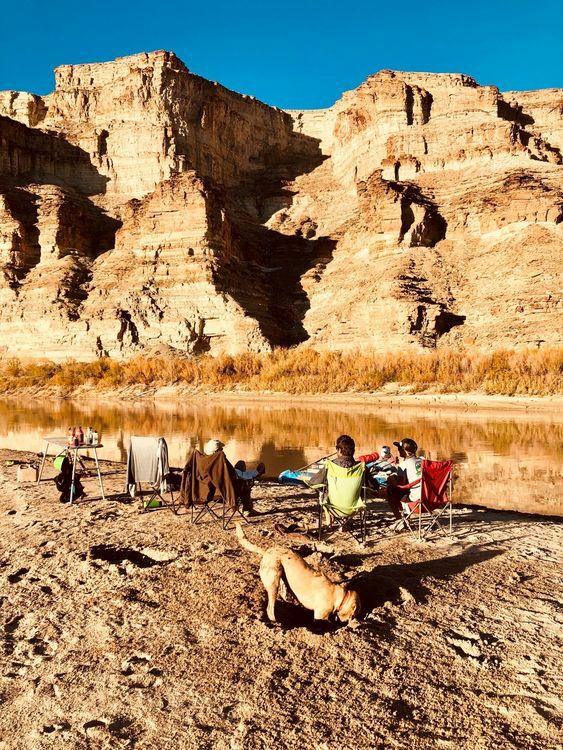 The Green River through Desolation Canyon is even deeper than the Grand Canyon at its lowest point. It is 89 miles long, sees about 6000 users a year, and is in one of the most remote places in the lower 48 states. The river drops about 600 vertical feet over the course of it’s 89 miles from put-in to take-out, and is made up of over 50 rapids in the Class II and Class III range. 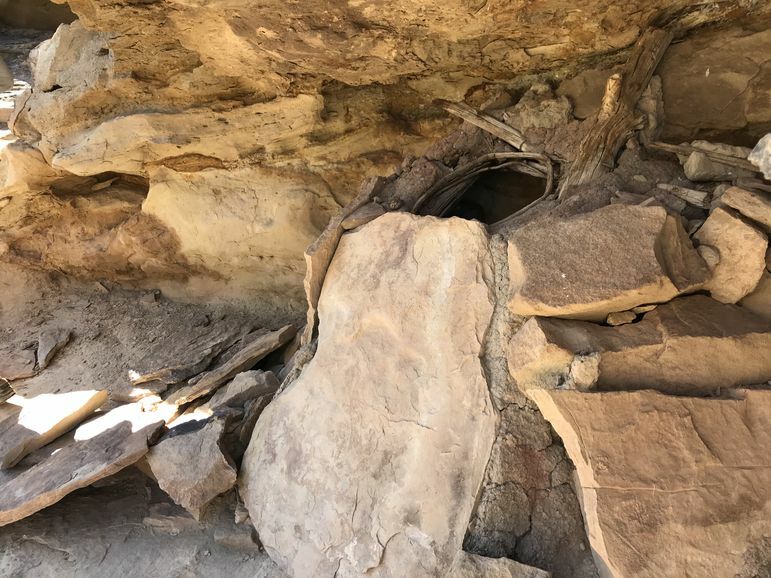 It was evident why the canyon and it’s resources are part of a large National Historic Landmark. During my time at Falling Creek, I have developed an ethic revolving around public land education, and helping others get out in those lands has become my life mission. The ability to give back to public lands was just one small way for me to live out the Falling Creek Code, and practice the Servant’s Heart values that we discuss throughout the summer. During the expedition, I conducted 22 campsite checks, removed countless Russian Olive trees which are invasive to the local area, marked other invasive weeds with GPS for future removal, and inspected 15 different historical sites. My favorite volunteer activity of the trip was examining the historical sites. 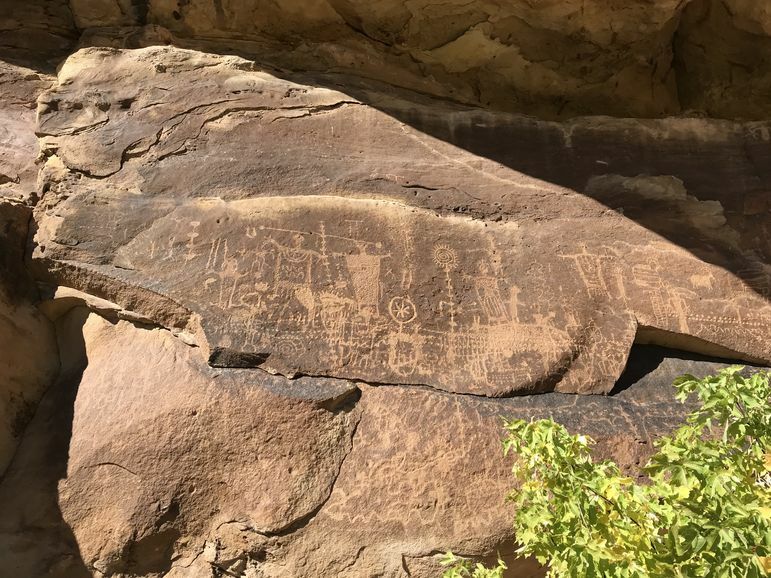 Desolation Canyon has petroglyphs, rock houses, and granieries dating back several thousands of years to the Fremont Indians. The Fremont culture is extinct, and thus no one truly knows what the various petroglyphs mean. Were they created by bored teenagers, or are they a way of passing information on to the next member of the tribe? 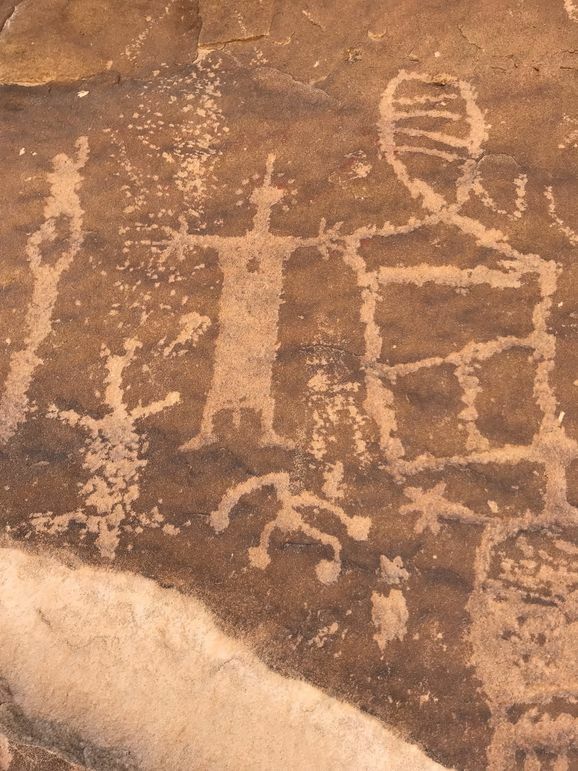 No one knows for sure, but seeing the stone carvings and thinking about living in the harsh climate year round was certainly eye opening for me in several ways. A grainery from the historical sites at Desolation Canyon. The Fremont Indians used them to store various items, such as food, along the river corridor. They are made with sticks and mud, and would have a capstone covering the hole in the top to keep dust and animals out. However, the biggest takeaway was that our current culture and communities are just one small piece of the earth’s story, and that if we are not careful, we could destroy all of the other stories with our actions. How is it that in this day of seemingly limitless technology and information, society is at times unable to see the long term effects of our actions on our surroundings? This shortsightedness is what I struggle with daily, wondering often if my single action will have an effect on others. It is easy to think that taking an artifact from a wilderness area you visit won’t be missed, or that it would be more convenient just to pave roads right through the pristine landscape so we can drive through. Seemingly “harmless” actions like these can have a big impact on a wilderness area in the long term. It sometimes seems as if we have forgotten that future generations might want to experience these wild places in an unaltered state, and we have to remember that preservation requires some effort. However, just as seemingly small actions can have a large negative impact in the long term, our small actions can also have a large positive impact as well. That is where the responsibility of giving back to our public lands comes in. Notice the arch formation along the ridge line, known as "Broken Finger"
As Americans, public land is for all of us. While some public land areas need to have developed campgrounds, showers, tours, and signage, others need to be left wild and relatively untouched. These more primitive areas require some work to maintain, as I learned through my expedition in Utah. Yet this work is worth it because the beautiful areas are left preserved and wild, ready to take one’s breath away. It is all about compromise and understanding that others’ needs are equal to my own, and that my definition of wild might be different than someone else’s. At the end of the day, regardless of what we personally define as “wilderness,” we can all agree that public lands of every kind need respect and maintenance. Maybe that is why I love working at Falling Creek so much, because some of the values in our Code support this and help us remember that we are part of a bigger community. For example: living with enthusiasm, treating everyone with respect, and taking responsibility for your actions. In this season of gratitude and giving back, I want to challenge all of you to think about ways that you can support and give back to the public lands that surround you. Whether they are primitive wilderness areas or well trafficked and developed parks, everyone deserves the chance to experience the beauty of the outdoors, and it is up to us to ensure that these spaces are preserved and maintained for generations to come. Your comment was submitted! Once it's been approved it will appear here.